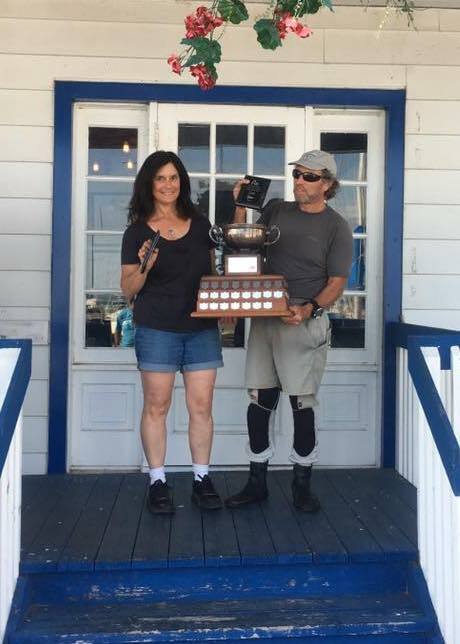 Paul Clifford and Mia Drake-Brandt won the recently held Albacore North Americans. Here's what Paul had to say about the experience. (There weren't any pics of the racing so I had to draw from past events ... thank you to whomever took the pics - let me know if you would like a credit!) We look forward to seeing many of you in Nepean, Ontario at the Albacore Canadians Sept. 22 - 24. Take a peek at the recently published Summer 2017 S&C Magazine - which has some great new material. As well, you might want to take a look at the previous blog, which indexes material contained in past magazine issues available online. Now about the sailing … Once in a while you get a regatta that doesn’t live up to the reputation of the venue one it’s sailing at. I’m not talking about the Race Committee (imported from CORK, a kilometre to the west), which was superb, pushing out four races each day with mostly light and very shifty winds. But Kingston is generally thought of as a pretty windy location with a prevailing southwesterly of decent strength. Well that wasn’t to be for the 2017 North American Albacore Championship. The wind forecast was for light and shifty, which perhaps partly explains the fewer number of boats than in past years. And the forecast was accurate – light and shifty – though we had instances of hiking on the upwind leg. A race by race description would not be much fun reading, even if I could remember each race accurately (which I can’t). But I can give you some impressions. They were the kinds of races where, quite often, the leading boats could sail into a hole (on any leg of the course) and be slowly passed by most of the fleet in a slightly fresher breeze only ten boat lengths away. Often, if one side of a windward leg paid off the first time around, the other side paid off on the second beat. 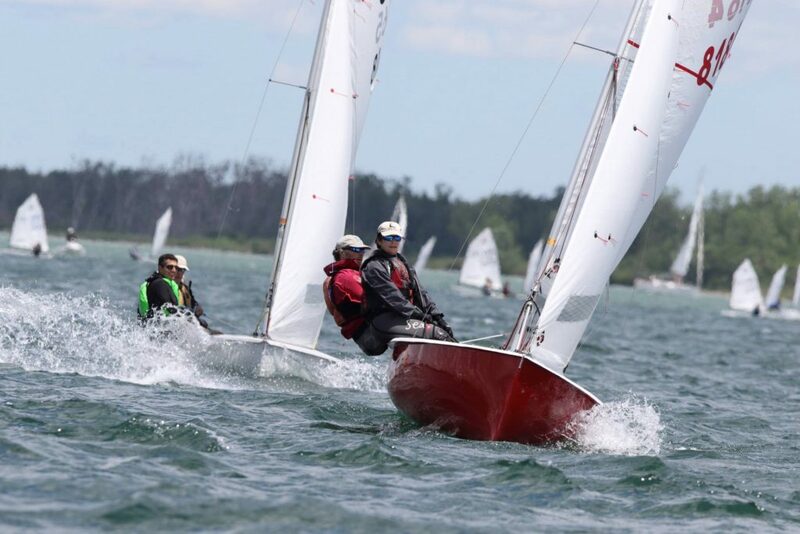 In a couple of races, during the upwind leg, the direction of the boats were at all different angles, as the wind was so spotty, and filling in and then dying moments later. The one consistent lesson was that whatever was going on at any given time, you knew that it was going to change. 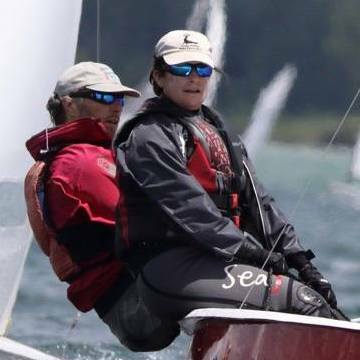 Admittedly, Mia and I had a very good regatta. Out of eight races, we had four firsts, a second, a third, a seventh, and dropped a ninth. In conditions such as these, some of our results had to have been due to good luck. We definitely benefitted from some shortened course decisions, as we were leading when the RC blew the horn and ended the race after only once around. But in addition to the horseshoe in our pocket, we also got some things right. 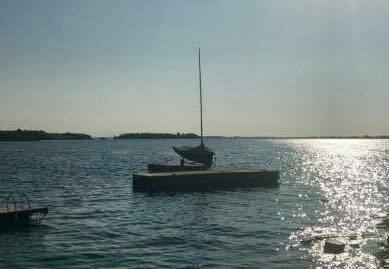 First of all, we were totally familiar with our boat and knew how to set it up for the light winds. This was important because it allowed us to get our heads out of the boat and look around for the wind. There was nothing more important than being able to figure out where the wind was and where it would be next and if we could get to it faster than anyone else. Looking at all possible clues – the wind on the water, of course, but also any pleasure sailboats around us, flags on boats or the land, the wind turbines in the distance, our competitors’ speed and heading, etc. Even the small detail of adding shroud telltales made of a strip of magnetic cassette tape helped, as they could pick up flutters of wind better than yarn or a mast head wind vane. One boat speed tip is the importance of not tightening up in light and shifty winds. As one gets a small freshening breeze, one’s tendency is to start to trim in, which is the right thing to do. But as the wind lightens it is really important to ease out the sails and keep the boat moving. Cracking the jib and easing the main to make sure that the leach is twisting off, is crucial in light and variable wind. You don’t want to choke the slot or hook the mainsail leach. Don’t tighten up, stay loose both physically and mentally. Another thing we did right was to position ourselves relative to other boats in order to take advantage of wind shifts and wind patches when they filled in. Upwind, we rarely went all the way to one side or the other as that wouldn’t have allowed us to play the many shifts or changes in wind that were certain to happen. Rather we tried to guess how the wind would change – either getting away from a hole when we saw it developing, or setting up closer than other boats to where we thought the wind would fill in from – and position ourselves advantageously vis-a-vis our competition. We couldn’t be afraid to tack as often as we needed to in order to find the wind. And on this particular weekend we just happened to guess right more often than anyone else. I hope I haven’t created the impression that it was unpleasant racing. In fact, these conditions can make for some of the most challenging and thought provoking racing there is. 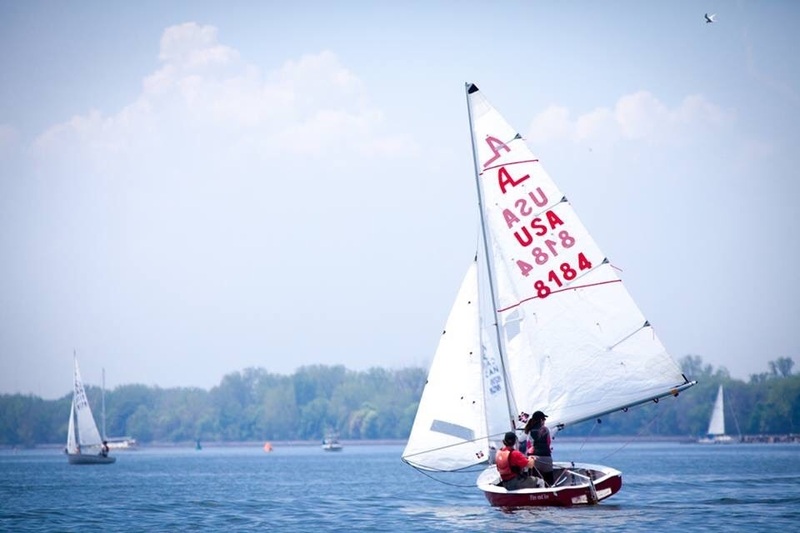 Being connected to your boat, reading the wind, figuring out how to position your boat relative to others, good roll tacks and gentle boat handling, and much more, are features of racing in light and shifty winds. Everyone seemed to have some really good moments and some dead ones, and that’s the nature of these type of conditions. By the end of it you are as mentally tired as if you had sailed a regatta in heavy winds. And for some, that’s fun too!